Piqua, Ohio, March 31, 2015 – Hartzell Propeller Inc. will supply high performance two-blade swept aluminum props for Flight Design’s new alternative fuel C4 aircraft. Flight Design has moved its C4 test article to Kamenz, Germany where it will undergo final testing, leading to first flight of the new design. The C4 is powered by Continental Motors’ new alternative fuel IO-360-AF powerplant. For the C4, Flight Design has mated the alternative fuel Continental engine with Hartzell Propeller’s efficient 74-inch diameter two-blade swept aluminum prop. The propeller was optimized for the new IO-360-AF, permitting the engine to achieve its maximum power output of 180 horsepower at an environmentally friendly 2,550 RPM to meet new stringent international noise standards. Hartzell Propeller specializes in working with aircraft manufacturers to maximize performance of new and existing aircraft designs. Flight Design is a 27-year-old manufacturer based in Germany. The company remains the worldwide Light-Sport Aircraft market leader thanks to its popular CT series of aircraft. Nearly 2,000 of these aircraft are flying in 39 countries. One of the first aircraft certified under ASTM International standards in 2005, the CT (“composite technology”) boasts the largest fleet of LSA in America after 10 years. Flight Design sold the first LSA to India and was the first LSA to earn Chinese Type Design Approval. Three times a CT has been flown around the world. 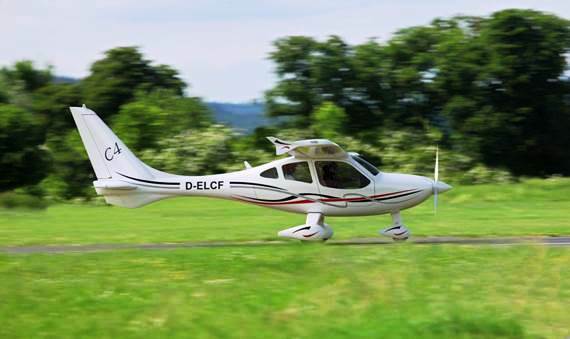 In 2011, the German company unveiled its C4 four seat aircraft based on the CT technology. Continental Motors Group Ltd., of Hong Kong, China is a subsidiary of AVIC International Holding Corporation of Beijing, China. Its mission is to provide advanced gasoline and Jet-A piston engine products, spare parts, engine and aircraft services, avionics equipment and repairs as well as pilot training for the general aviation marketplace. Continental is an international operation employing approximately 450 team members in Mobile and Baldwin counties, Ala., 200 team members in St. Egidien, Germany and eight team members in Beijing, China. More information can be found at continentalmotors.aero.